If you are looking for a internet marketing job in please read the descriptions below and see if you believe we could be a good fit for our culture. Blue Fusion Digital is currently in a great expansion and are seeking amazing people that fit our culture, we are currently taking applications for the positions listed below. We look forward to hearing from you. The Account Manager or “A.M.” position is really the reason Blue Fusion Digital is successful. The A.M. position is responsible for taking what the Marketing Consultants sold the clients and making it happen. The success of our clients rely on the A.M. abilities to not only produce amazing results but also to communicate in a frequent and effective manner with our clients, consistently showing the value of the work we do. The A.M. position is also set up in a way that they can make additional revenue off of up-selling. Who should apply for the role of Account Manager? If any of these career jobs are appealing to you or somebody you know, we encourage you to please apply. The Marketing Consultants are the team members who are responsible for closing new sales. The B.D.R.’s are the lifeblood of our company and are absolutely crucial to the success of the Marketing Consultants. If the B.D.R.’s are the lifeblood the Marketing Consultants or M.C.’s are the backbone of our operation. The Marketing Consultants day consists of taking interested prospects through our proven sales cycle and bringing them on board to a winning team. The Marketing Consultant is not only responsible for bringing in new clients but they are also responsible for setting up these new clients for success, our M.C.’s have a thorough understanding of internet marketing including but not limited to SEO, PPC, Reputation Management, Web Design and Local Search Optimization. The Marketing Consultant’s primary focus is to develop new business through high quality phone and email prospecting and follow up that is focused on Online Marketing throughout the US. Be ethical 100% of the time, you are representing Blue Fusion Digital. Who should apply for the role of Marketing Consultant? ~ Creates and executes project work plans and revises as appropriate to meet changing needs and requirements. ~ Manages day-to-day operational aspects of a project and scope. ~ Effectively applies our methodology and enforces project standards. ~ Prepares for engagement reviews and quality assurance procedures. ~ Can demonstrate strong communication skills, verbal and written. ~ Coordinate the completion of project tasks. ~ Set-up Social Media profiles on a variety of platforms. ~ Entering/Uploading information into spreadsheets, calendars and company CRM. ~ Creating/Processing tasks for members of the support team to complete. ~ Writing and posting special updates/comments on Pinterest, Facebook, Twitter, Google+ and other social networks in your clients’ voice. ~ Basic Microsoft Office skills. ~ Strong understanding of Google+, Facebook, Twitter, LinkedIn, FourSquare and Pinterest. ~ Ability to effectively manage multiple projects. ~ Flexible, able to multi-task and keep organized. ~ Must be computer savy. ~ Must be a strong proofreader. ~ Strong communication skills, verbal and written. ~ Must be able to work in a demanding, fast-paced environment. ~ Close attention to detail. Our fast growing Search Marketing Agency is looking to add a full- time PPC/SEM Specialist to its team. As the PPC/SEM Specialist, you will manage a group of clients, leading efforts to improve performance and accelerate growth for customer campaigns. You will be responsible for developing campaign strategies, executing campaign plans and driving execution through cross functional teams and ongoing communication with customers. Our company is a top to bottom digital advertising company, with a professional but casual work environment. The Paid Search Division is growing and we’d like to offer the right candidate the opportunity to grow along with us. Audit existing campaigns, and identify new opportunities to increase client revenues. Optimize data feeds for Shopping Campaigns and online marketplaces. Manage search, shopping, display and retargeting campaigns. Manage campaign budgets to maximize growth and returns. Research, create, evaluate and test campaign structures. Coordinate with design, SEO and other teams to ensure maximum ROI. Communicate consistently and professionally with clients. Create monthly reports for clients. 1+ Years’ experience with Paid Search campaign management for Google and Bing. Experience with Analytics Platforms, i.e., Google Analytics or Ominiture. Passion for search marketing with interests in numbers and analysis. Flexible and able to multi-task multiple responsibilities. Advanced experience using Excel with ability to develop vlookups, pivotables, etc. Strong interpersonal, written, verbal, and influencing skills. Ability to think through complex issues and exercise sound business judgment to set strategies. Experience with CMS, web design and programming, and SEO a plus. Our PPC Sales Consultants maximize advertising sales potential, through the development of quality business relationships and promotion of new and existing advertising products. This position requires a heavy amount of prospecting and lead-development with small businesses. Our marketing solutions drive, convert and nurture leads generating more high value sales faster for our clients. We provide expert marketing strategy and excellent campaign execution. 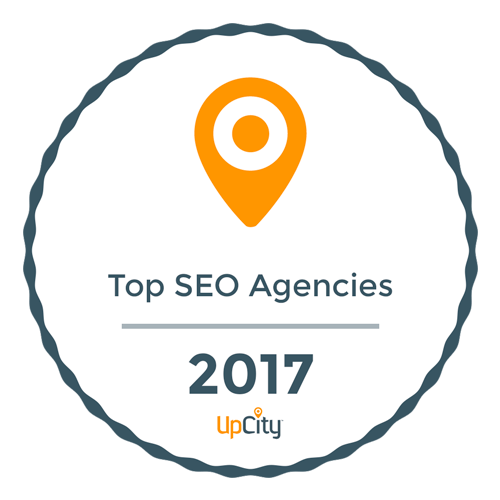 Our Paid Search Division is growing rapidly, and we’d like to offer you the opportunity to grow along with us. If you are passionate about search, are looking to a workplace with dynamic growth opportunities, we would love to open the door for you. At Blue Fusion Digital we are passionate about the field, have a fun and flexible work environment, and sincerely care about our clients and employees. We are looking for someone to start immediately. This is a great opportunity in a high-tech space for a motivated and flexible person who has good communication, leadership and organizational skills. ~ Research and write unique content for a variety of clients. Please respond to this with a cover letter, min of 3 writing samples and a resume attached. The B.D.R. is the lifeblood of our company, they are responsible for setting up appointments for our sales team. Unlike most digital marketing agencies who don’t value the position, Blue Fusion Digital really appreciates the hard work our BDR’s put in and offer a very competitive pay structure that also has plenty of room for advancement. If you can become a successful B.D.R. you are going to be on the fast track to become a great Marketing Consultant for us which means you will be closing new sales. Who should apply for the B.D.R. role? As a part of our team at Blue Fusion Digital, you’ll have the opportunity to work on a variety of startup, entrepreneurial, and enterprise-grade projects – truly projects you’ll be excited about. You’ll have the chance to work alongside industry leaders, and learn from their experience and expertise. You’ll have the opportunity to master new technologies, sharpen your current skills, and maximize your creative potential. We want our designers to do more than just grow — we want our team to thrive. A strong background, with minimum of 1 year of visual design experience (preferably in an agency environment). A solid understanding of designing intuitive site functionality, interaction, site architecture, user interfaces, and navigation. Strong conceptual thinking. We want people who can start a project off from an incredibly strong position and come up with functional, exciting concepts to move forward with. Strong communication skills and experience consulting directly with clients. The confidence and skill to communicate your ideas clearly. The ability to work as a team with other designers and developers.